A broken heel? A healed heel? Either way an amazing shoe inspired by something ordinary and turned into a surprising design. 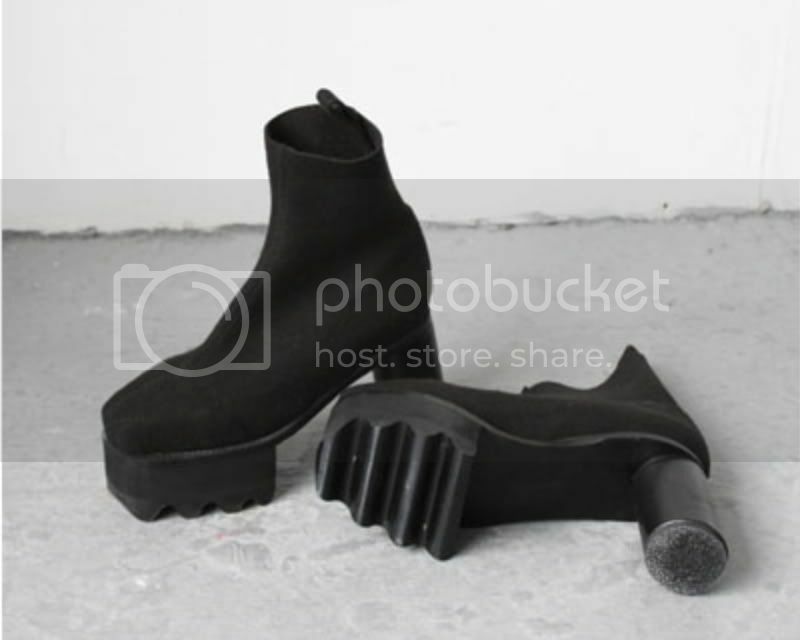 'The Broken Heal shoes are inspired by just that; shoes with 'broken' heels you often see office ladies wear without knowing, where the heel sort of bounces back as they walk' so explaines Josefina Larsson, who graduated from Central Saint Martin's last year with a collection that included these heels. Waaaaw, those are AMAZING. So different of the usual shoe (and heel). Can't wait to see the rest of the collection! So cool. They look so modern and cartoonish at the same time. interesting! they look so wobbly! moet hier nog wel even heeeel erg aan wennen, omdat ik 'broken heels' in de praktijk altijd zo lelijk vind! daarom wel extra creatief! what funny inspiration! i love the look of the shoes, still, even if they come from silly lookin' heels bending back. Hai Ivania, ik wouw weten of dat je gaatjes in je oren hebt? In love! I hope they'll ship to the US? 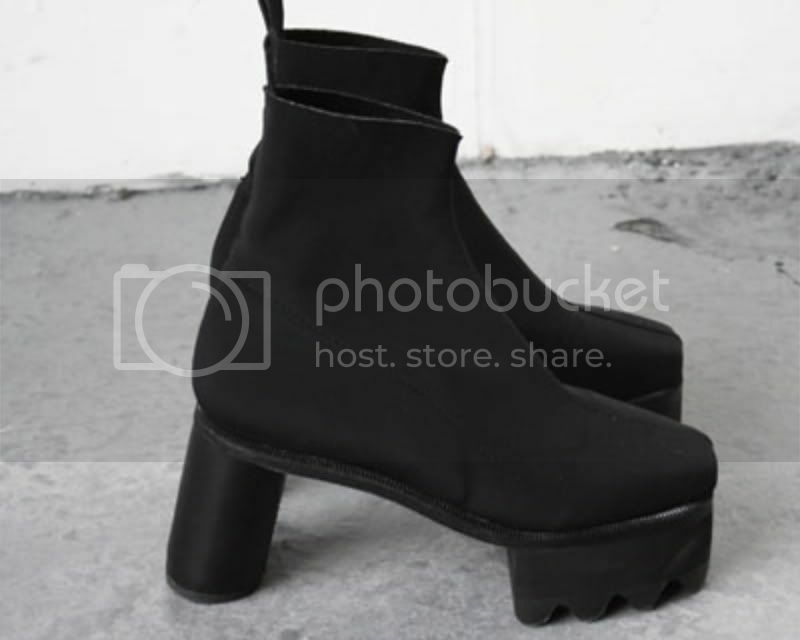 yey to more crazy shoes!!!!!!!!!!!! Can't wait to see the rest of the collection! Crazy shoes!